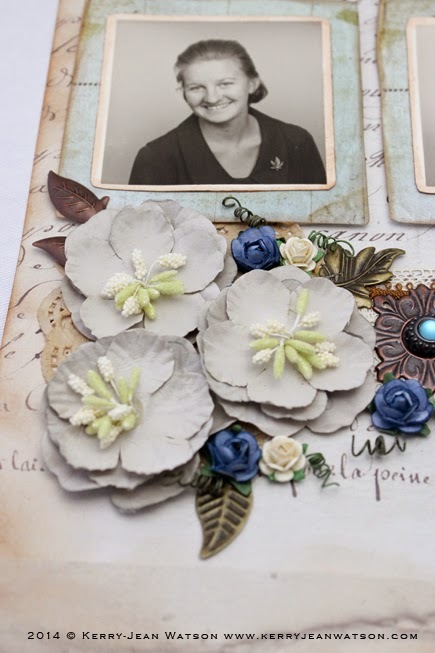 I found a lovely old photo of my great aunt (my paternal grandmother's sister) and thought it would go perfectly with the Meg's Garden new paper collection I created called "Correspondence". 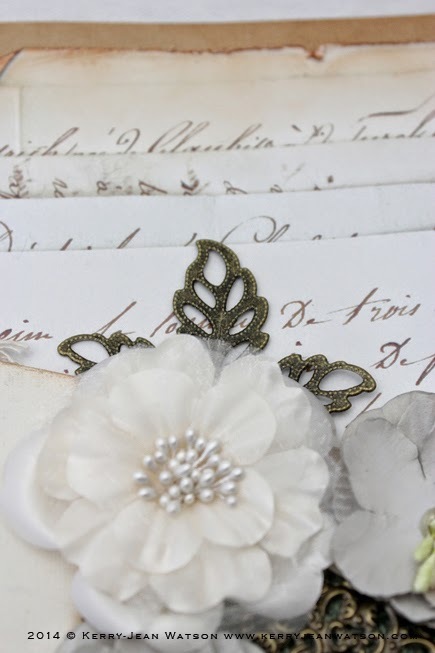 I wanted to create a collection with vintage paper and old script handwriting and was able to find some photographed textures by Evelyn Flint that I played with digitally to get the finished look I wanted. Meg's Garden also has some fantastic flowers and charms I wanted to use and this was the perfect opportunity. 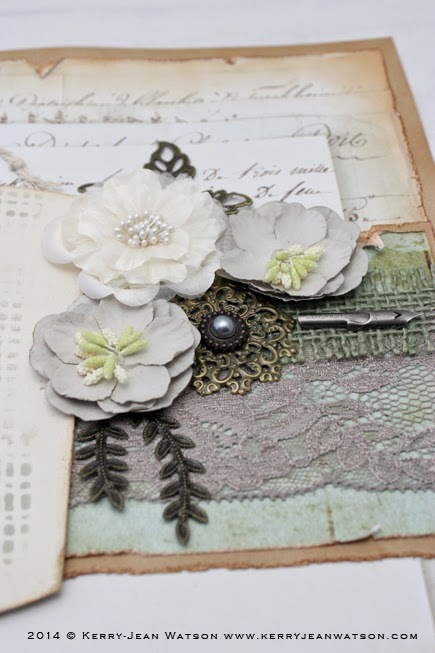 The flowers I have used are the Oatmeal Colour Flower and the Ivory Heirloom 6.5cm and then the beautiful charms from Finnabair trinkets from Prima for the leaves I also popped a Tim Holtz Pen Nib in there as well. The is some lace I had lying around behind the photo and the Sage Burlap 38cm worked really well. 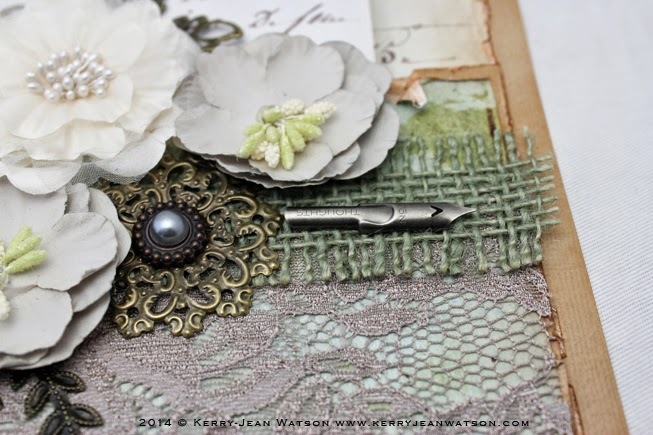 I just had to finish things off with the grey Vintage brad on top of the metal embellishment. I have many sheets of proof prints of portrait shoot my mother did as a young women, these are GREAT for scrapbooking. 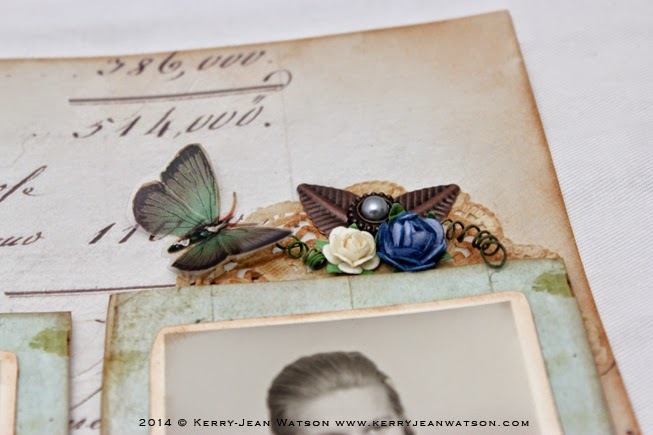 The page I used for the background is one of my favourites of the Correspondence collection. 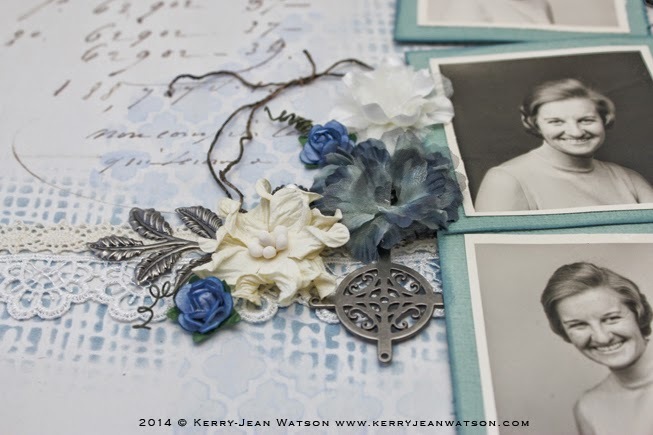 I used some of Kaisercrafts Sage weave Cardstock for photos mats which just added another colour tone to the layout. 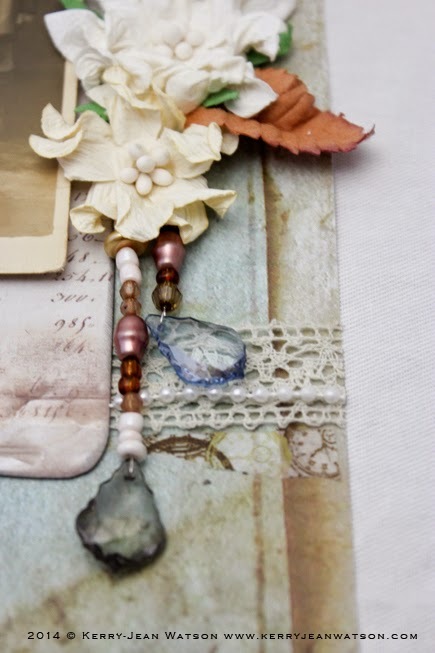 Again I used some of the fantastic Dodo Vine wire as well as some of Finnabair's Prima Market trinkets which I just love using here and there, the leaves especially. The flowers are these beautiful Silk & Organza Primula, the Small Rose Blue and Cream and White Gardenias. 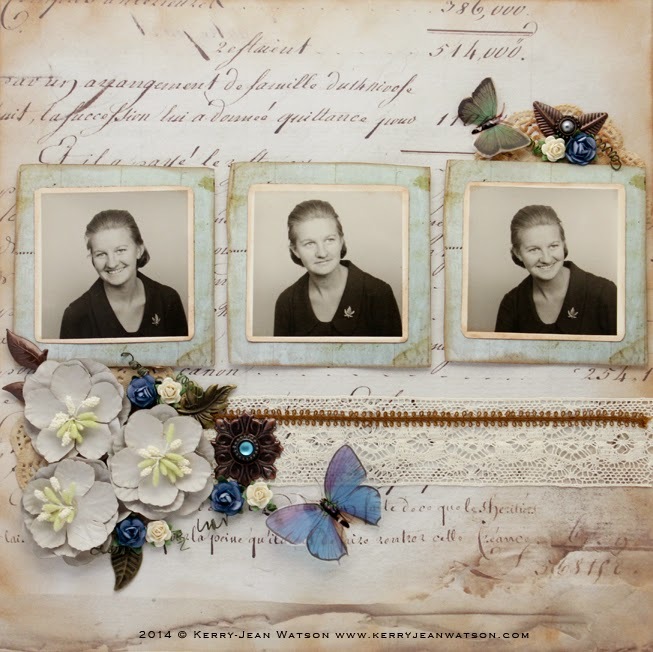 This is another layout I did with those photos of my mother, I think she was pregnant with my older brother when these were taken but I am not sure. 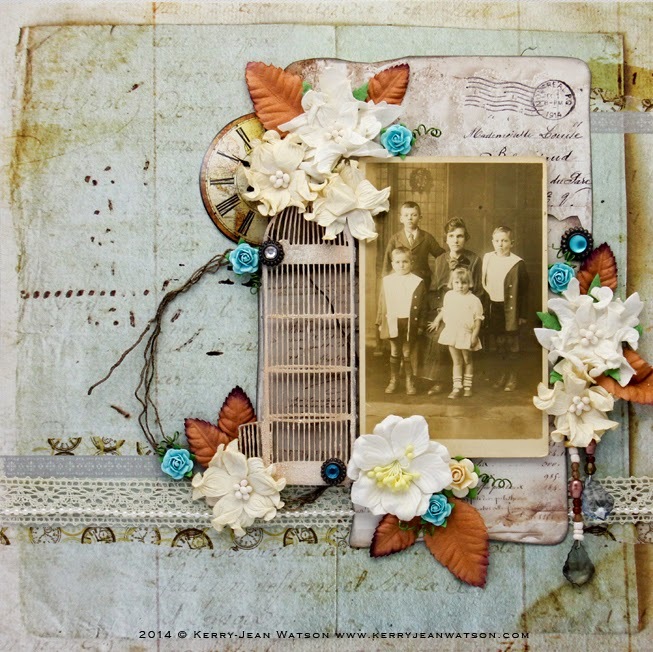 Again I have used Finnabair's Prima Market trinkets with the leaves and metal embellishments and the Butterflies Transparencies. 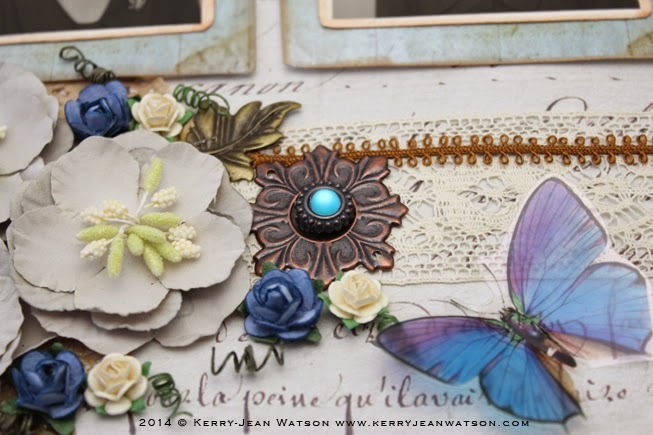 The flowers are a combination of the Small Blue Roses, Oatmeal Coloured Flowers and the Small Roses. 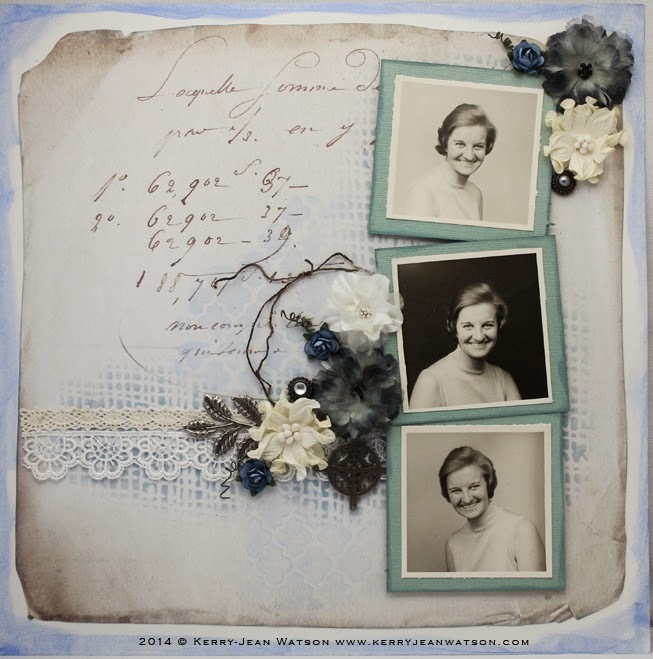 The lace trim is Cotton Lace which is lovely and soft and works so well in the layout. 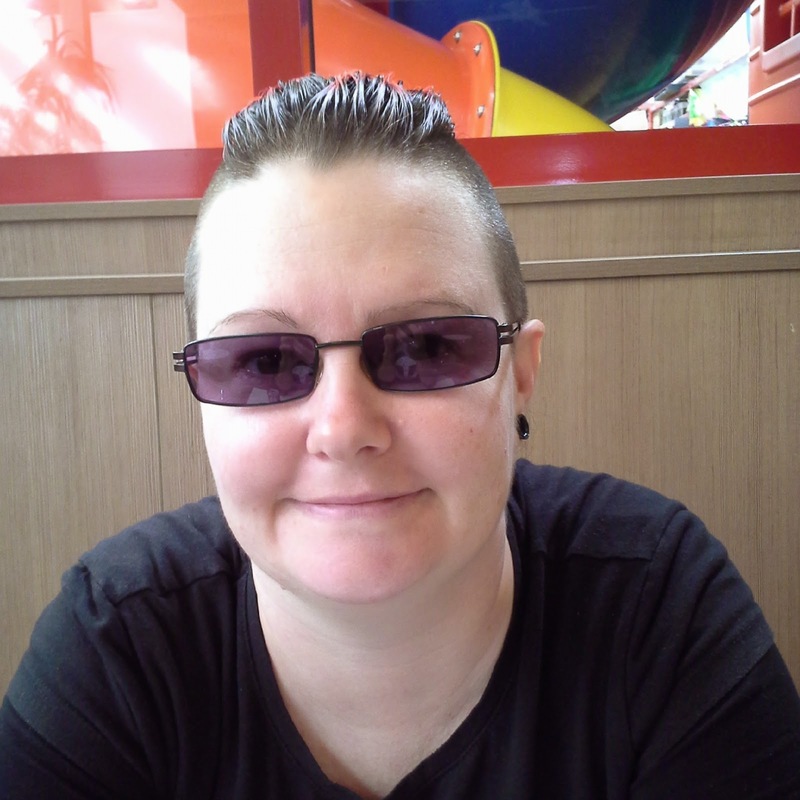 So it has been some time since I have done an update regarding my learning differences. Many things have happened and I thought it was time to bring every one up to date. Last year in May I was screened for Irlens Syndrome other wise known as Scotopic Sensitivity Syndrome. I got my first set of filters the day of an exam which was totally awesome, as I had little visual stress during the exam. Around February of this year I noticed thing were getting difficult. I was walking in to furniture and door frames which hadn't happened since I had had the filters and reading became a lot more difficult than it needed to be. I found reading caused fatigue and vision stress that was not fun in the least. I consulted a diagnostician via Facebook about my problems, the recommendation made was to get a recheck. This is where things got difficult and very problematic for the next 2 months. I made a selection of seven colour layers which from my perspective seemed to be perfect. I then waited 4 weeks for my filters to arrive, when they did things were not good. The new filters were VERY different from the first set and I could not get use to them. They were dark and they were purple and they made my head hurt, so I went for another recheck. This recheck was painful and uncomfortable and there was concern that I had an eye wobble issue, which requires other interventions and remediation. 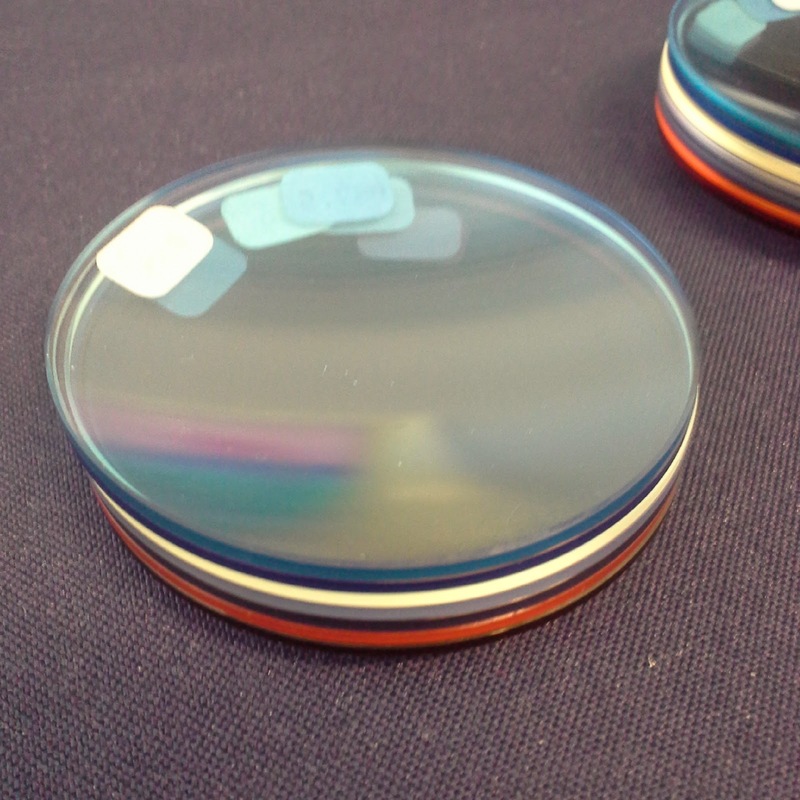 After an optical test it was discovered I didn't have this eye wobble but by this time my head and eye hurt A LOT. A third recheck was scheduled for the following days, which I was NOT looking forward to. The following day was unpleasant (this is an understatement, attempting to keep things G rated). The appointment took an hour and a half after which I like death warmed up. Everything hurt, my head, my eyes, my body and all I wanted to do was sleep and never wake up. Of course there was the 4 week wait for my new filters, which at this point I was very worried that they would not work and I would have spent A LOT of money I didn't have to throw away. Those four weeks sucked, and towards to end of those 4 weeks things got so sore and uncomfortable that I was unable to walk due to my body hurting so much. I tried everything to relieve my pain and discomfort and nothing worked, as a last resort I went and saw my chiropractor in total desperation. Who was very worried when he saw me, as my spine and neck were in a bad way and indicated massive tension throughout all systems. I was adjusted as best as one could under the circumstances and I went back for another adjustment the following week. The day after my last adjustment my new filters arrived, and OMG!! 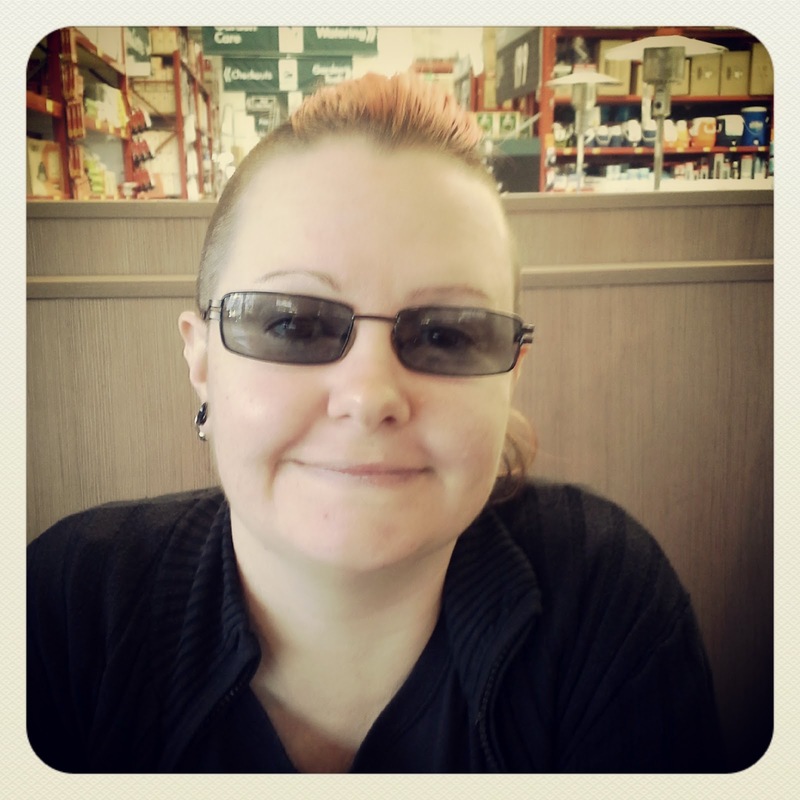 So the new filters were great, I stopped hurting and I was able to read without the visual stress and fatigue. Bliss. 4 weeks later I had my usual monthly chiropractic adjustment and the change in the tension in my spine and system was so altered (just not there) my chiropractor was blown away. He has been treating me for 4 years and is very familiar with the spinal patterns as I have scoliosis. The last few days have been a little tough with the filters because of the weather and lighting change. These have become a bit dark and at times I have a lot of difficult to see clearly with the filters on. Other than that I just continue on as best I can. Over all I must admit to being a little less confidence in the Irlen method and the filters due to these events. 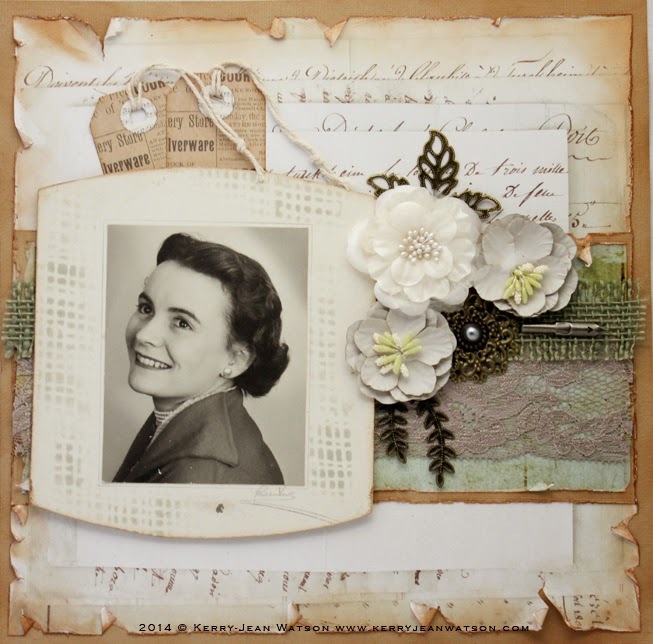 The Correspondence collection works really well with vintage photos as I have found yet again. The photo is of another distant Great Aunt, this time of my mothers side. My grandmother was the last born out of 9 children in 1904. This has to be one of my favourite layouts because of the colours. 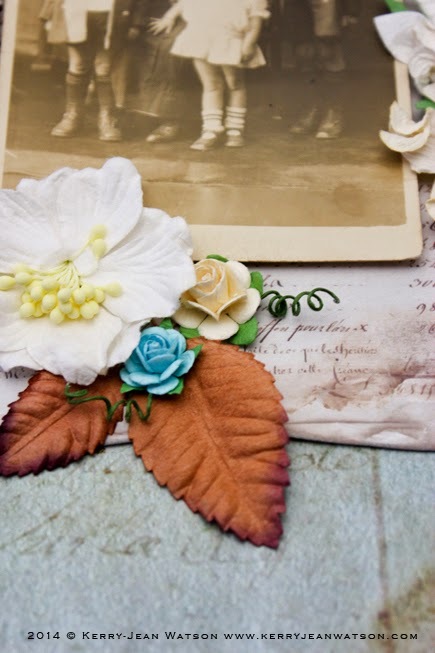 Once again I have used the Correspondence collection for the background and the tiles of paper in the background. 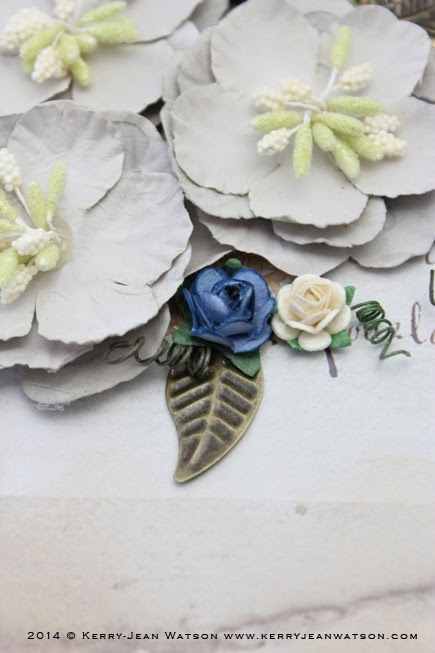 The flowers used are a collection of Azaleas, Cream and White Gardenias and the Small Blue Paper Roses with the Copper Paper Leaves both medium and small. 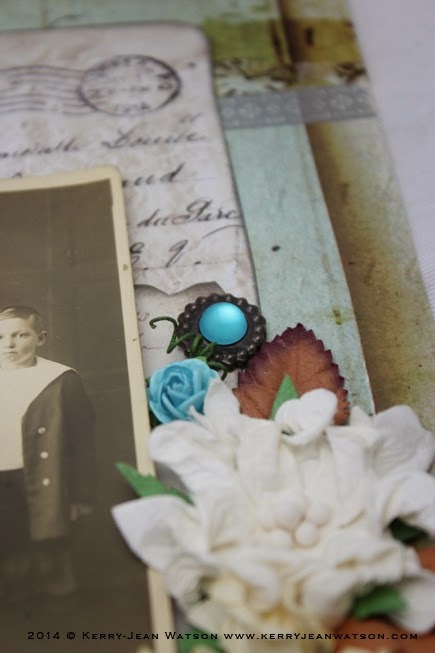 As I have used those lovely blue roses I thought I would add some more of that turquoise to the layout by using the Blue Vintage Brads and then some gems down the right. Behind the Kaisercraft bird cage is a fantastic product I have been getting used to working with called Dodo Vine Wire. 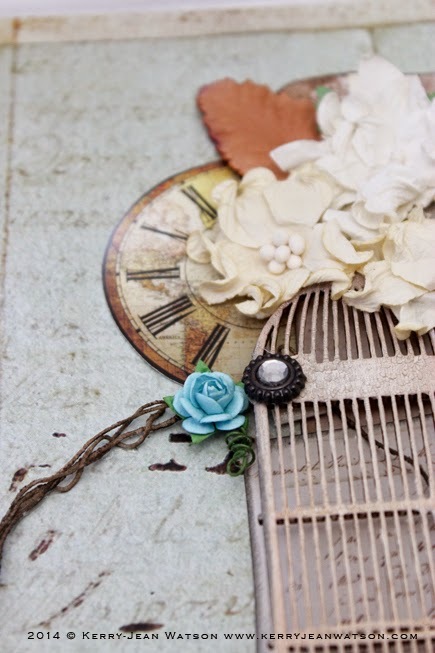 The clockface is also from one of Meg's Garden Elements papers called Old World Time.